It took a year and a half, but finally we’ve been told why China’s high-profile former Internet czar Lu Wei [鲁炜] lost his job. He’s a sleaze and he was getting dangerous. That’s according to the official announcement that appeared Tuesday evening on Chinese Central Television, accusing Lu of doing everything wrong from Party conduct (“feigned compliance, sought to dupe central authorities” [阳奉阴违、欺骗中央]) to his conduct at parties (“frequented private clubs, vigorously engaged in self-promotion” [频繁出入私人会所，大搞特权]). Read as a whole, it’s a damning list, one that, for example, charges Lu with abuse of power for personal gain, and receiving payments to accrue illicit wealth [以权谋私，收钱敛财]. Lu “engaged in intrigues without any sense of shame [以权谋色、毫无廉耻], the report alleges, using language often leveled at officials who sought to construct their own political fiefdom and ignore directives from the Party leadership. For his actions, Lu’s assets are being seized, and he’s being expelled from the Party and will almost certainly be jailed. 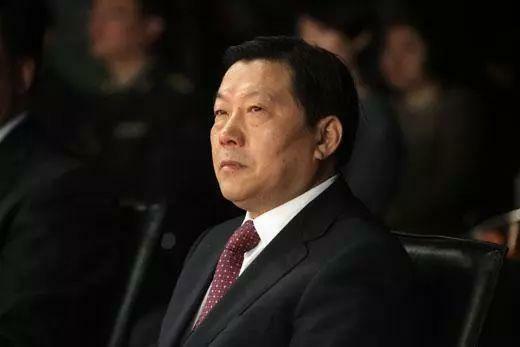 Shades of Bo Xilai, and of Zhou Yongkang. There’s likely to be all sorts of the usual commentary after-the-fact about what Lu did and why Beijing was particularly angry. We’ll be told that this is what Xi’s anticorruption campaign is about (it isn’t; it’s far more than just taking down "tigers"); that if the Party doesn’t stop graft, it’s legitimacy is called into question (it can’t stop graft, and legitimacy as it’s understood outside China is irrelevant inside China); and Lu’s case occurred because of the need to send a message to other high officials (as if they didn’t know that already). It’s very unlikely that any of that analysis—which never predicted any of this--will explain why it took so long to bring Lu to book. And that’s the real question here: What took so long? Lu clearly did a lot of stupid things, convinced that he could get away with being a bore and, according to the report, stiff-arming inspection tours sent into his administrative patch to investigate his realm and apparently his leadership style. The account just released appears to indicate that some in the Chinese leadership didn’t like Lu or his methods, and hadn’t for some time. Plus, Lu didn't have a lot of friendly comrades in some provinces and places--more than a few provincial and local officials resented the various ways he and his people tried to exercise social control at the very moment Beijing was emphasizing innovation. Surely if the central leadership wanted to move against Lu, they should have had the horses to do so. There’s no real way to know at this point. It could be that making a case against Lu took a year and a half because the scope of his malfeasance was so broad and deep. That seems to be what at least part of the account is saying, with its long list. But it’s the other part of the report that should give even greater pause. That’s the one that says that Lu was nefarious because he could get away with it—and that it took this long to take Lu down because his political support was so strong. Maybe Lu is a terrible person, but he seems to have been a tremendous tactician to have lasted so long. There’s another possibility here: That Lu wasn’t smart so much as the anticorruption forces have been divided as of late. After all, there have been debates in recent months about just what Xi’s crusade against graft entails--and that’s happened before, usually leading to a pause in prosecutions (or at least public notice of them). Healthy as those reconsiderations may be for the anticorruption campaign as a whole, it’s likely that these discussions have slowed down investigators because they’re looking to Beijing for clarity about what sort of conduct should be condemned and what type tolerated, and who should be targeted. For example, if the scale of corruption is important, then surely Lu and former Chongqing Party Secretary Sun Zhengcai are prime targets. How deep and wide the level of graft and misbehavior is seems to matter—that there’s some sort of a tripwire that really attracts Beijing’s attention. That could be one message. At the same time, if taking advantage of public funds in any form is the focus, then lower-level officials need to be brought up on charges, which is also what’s been happening in recent days, with a gaggle of local government officials reprimanded for dining out, giving gifts and granting various favors. In other words, there now seem to be two anticorruption campaigns being waged, instead of one. One track is about leaders, and so Lu and Sun get toppled and charged. The other track focuses on the daily graft that goes on in China’s localities. Maybe Lu’s demise is a signal that a more coordinated anti-graft crusade is getting underway. But it’s more likely Beijing still can’t decide who the larger enemy is—officials such as Lu, or the culture of corruption that produces people like him and allows them to last so long. It’s likely that the next few weeks will see pro-Beijing publications in Hong Kong run selected stories about Lu and his salacious and outrageous conduct, to strengthen the case against him in the minds of midlevel officials and bureaucrats here.